Apart from spiritual travelers, Rishikesh becomes filled with general tourists during the peak tourism season and the peak season usually gives this beautiful city a different charm and grace. Rishikesh is considered as the birthplace of Yoga and there are a lot of places which offers traditional yoga practices and sessions. People also come here to attend the yoga sessions, meditations and also learn about various facts and aspects about the Hindu religion. The river Ganges is a major sacred river of the Hindus and since Rishikesh is situated on the banks of river Ganges, the spiritual value of the city becomes stronger. Even though Rishikesh is considered as a major spiritual destination in North India, it also hold a unique place as a wonderful travel tour destination due to its amazing natural beauty, landscapes, cool climatic conditions, unique culture and heritage. 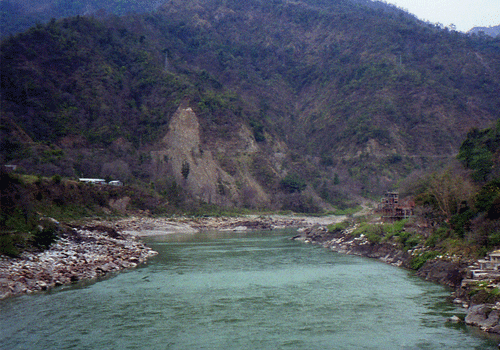 The sight of river Ganges flowing byt the side of Rishikesh makes this city more beautiful and the sight of the Himalayan mountains far by is something worth watching. The presence of Ayurveda and Yoga centers in Rishikesh helps in attracting more travelers round the clock from different countries. 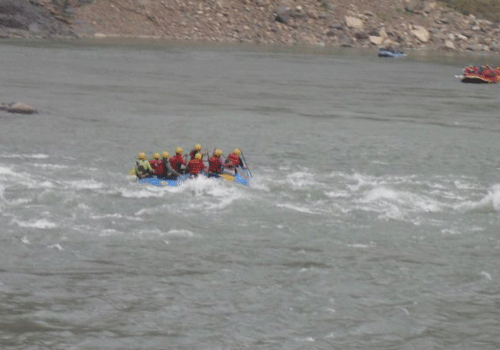 Rishikesh is also considered as one of the best adventure travel destination in North India due to the unique landscape and natural resources that offers the best adventure activity facilities. There are a lot places of interest in Rishikesh and the travel attractions in Rishikesh always keeps you busy and guessing. 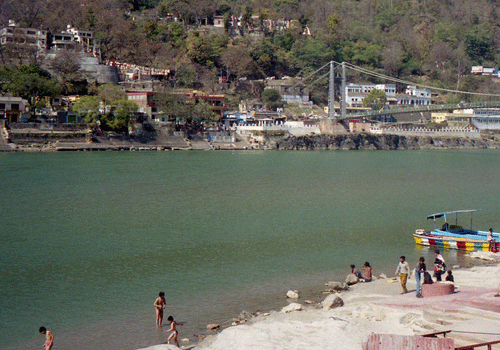 The amazing natural beauty of the travel attractions in Rishikesh makes it a perfect place for sightseeing tours. Whether it we sightseeing, sprituality, adventure activities, nature walk, shopping and dining, Rishikesh has something unique to offer for its tourists. Some of the major travel attractions in Rishikesh include Bharat Mandir, Lakshman Jhula, Rishikund, Triveni Ghat, Ram Jhula, Neelkanth Mahadev Temple, Swarga Ashram and Gita Bhavan. If you have some time to stay in Rishikesh you can easily indulge in some interesting travel activities such a white water rafting, camping, rock climbing, rappelling, kayaking, cliff climbing, trekking and bungee jumping. You can also try yoga and ayurveda at Rishikesh as it is home to some of the best yoga and ayurvedic centers in north India. If you are interesting in spiritual activities then there are a good number of Ashrams and temples which can really calm and rejuvenate your inner soul. There are certain patches of time to visit Rishikesh, even though this place has a pretty decent climate throuhgout the year. The months from October to February and July to September is considered to be the best time to visit Rishikesh due to the more favorable conditions that presists during this period. While travelling to Rishikesh, you need not worry too much about getting a decent accommodation as there are a good number of hotels, lodges and resorts with the best facilities and amenities. You can see a good number of accommodation facilities along both sides of the river around Lakshman Jula and you can easily select the best accommodation that fits your budget. If you are planning to reach Rishikesh by air, then the Jolly Grant airport at Dehradun which is at around 35 kilometers is the nearest airport and from there you need to hire a taxi or bus to reach Rishikesh. On the other hand, if you are planning to reach Rishikesh by train, then you can board at Haridwar railway station which is just 25 kilometers away. And finally if you wish to travel towards Rishikesh by road, then you can either hire a taxi, bus or even go with your own vehicle, as Rishikesh is well connected to the other places by road. This entry was posted in Rishikesh and tagged how to reach rishikesh, Rishikesh travel india, rishikesh uttarakand, things to do in rishikesh, travel attractions in rishikesh, where to stay at rishikesh. Bookmark the permalink.